Ironclad gloves are like no other glove on the market. 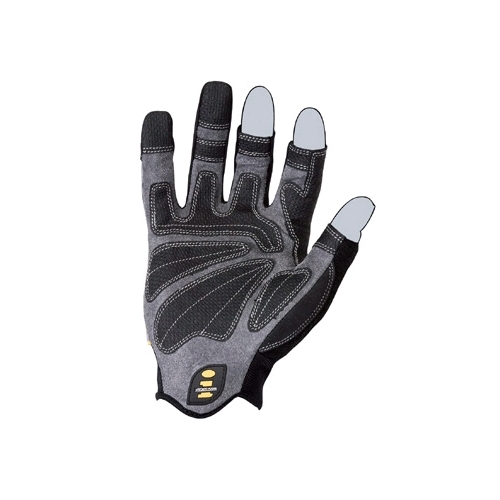 These revolutionary gloves are task-specific and made with a keen eye directed towards quality, dexterity, and durability. The gloves are equipped with a spandex upper that takes heat and moisture away from the hand and allows the glove to fit like a second-skin. The man-made leather palm is reinforced in the excessive wear areas and is double stitched for added durability. You can wear the glove the entire day without ever having to take it off. All of Ironclad's gloves are machine washable and customer satisfaction is guaranteed. * Short-3 finger design Dexterous.